GBoard for Android gained a handful of helpful new features thanks to a fresh update from Google. 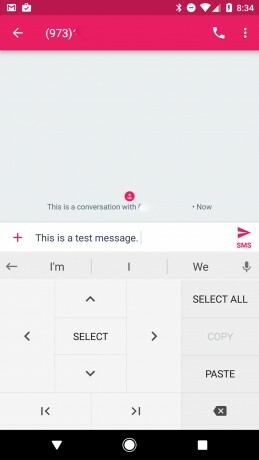 The keyboard application now comes with a dedicated text editing mode that includes buttons for common actions such as copy, cut, and paste. Moreover, cursor control has been refined and is simpler to use. These tools can be reached by pressing the G button. Gboard now also allows users to resize the keyboard and reposition it on the screen for improved one-handed use. This can be particularly helpful on phones with large screens. Last, GBoard adds a significant number of new Indic languages, including Hindi, Bengali, Telugu, Marathi, Tamil, Urdu, and Gujarati, complete with transliteration. Google says machine learning has helped it expand GBoard to a total of 185 languages, all with glide-typing support. GBoard for Android is free to download from the Google Play Store. Google today updated its GBoard keyboard application for Android handsets and made it possible for people to draw emoji. In the emoji search tool, GBoard can recognize finger-scrawled pictures and then automatically insert the correct emoji into your text. Microsoft's Word Flow keyboard now features a search tool for finding GIFs, images, and emojis. The search functionality also allows iPhone owners to find contacts and look up restaurants.